Newcomer Family Obituaries - S. Gary Murray 1931 - 2018 - Newcomer Cremations, Funerals & Receptions. Sylvester Gary Murray, “Gary”, May 15, 1931 - December 3, 2018. He was 87. Born on the Turtle Mountain Agency in Belcourt, North Dakota. 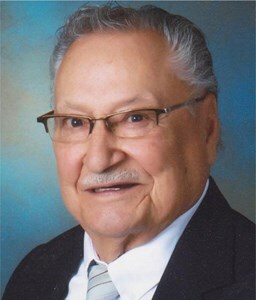 Gary was Pembina Clan of the Turtle Mountain Band of Chippewa (Ojibwe), one of the 7 Nations of Native American people. In 1940, Gary was adopted by his mother’s husband, Hassen Murray. Gary worked on the Murray farm until he was 18, when he joined the U.S. Air Force in 1949. Hassen and Delphine’s farm life was Gary’s home and his siblings became his best friends in adulthood. Gary was a career military man. In 1950, he was stationed in San Antonio, where he met his Yellow Rose of Texas and future wife of 67 years, 18 year old Moray Duncan. The family was stationed in Texas, Kansas, Nebraska, Turkey and Colorado. Gary was also stationed in England and did 2 tours in Vietnam. He retired after 20 years and then returned for another 20 years as a civil servant. Gary and Moray made many life-long friends through the military and continued to visit and share in the lives of their military family over decades. The Murrays made many close lifelong friends with their Aurora neighbors as well, both on Xanadu Street and E Kentucky Place. Gary was born a natural artist. He loved watching Bob Ross and took up oil painting, self-taught, after retirement. He was an avid reader. He loved mysteries of human-related history and collected a library of books on topics related to scientific mysteries. He also loved to play 9-ball, which he excelled at on his personal billiards table in the basement. He was a tinkerer and made Gary inventions in his garage. Gary was preceded in death by his mother and step-father, 3 half-brothers Ahmed Warren (“Muff”), Hassen Jr., Hassen, Sister Louis, and his much loved son, Gary Herbert Murray “Herbie”. Gary is survived by wife of 67 years, Moray Murray, daughters Cheryl Pulju (Edward), Sue Ellen Gates (Paul, div. ), Michele White (Douglas), grandsons Will and Ian Pulju, granddaughter Sarah M Gates, and great grandchildren Zeiah and Chapin Pulju. Gary Murray’s greatest achievement was in producing and maintaining a loving family. We would like to remember him as a good father, devoted husband, Vietnam Veteran, artist, and intellectual. A Celebration of Life will be held in the Spring 2019. To share a memory of Gary or leave a special condolence message for his family, please click the Share Memories button above. Add your memories to the guest book of S. Gary Murray. My deepest sympathy at the loss of your lifelong partner. I hope your memories ease the grief. We love you Moray, Cheryl, Michelle, Sue Ellen and all of the Grand kids. sorry for the loss. we loved him too. He teased me a lot when I was younger, but he was my brother and I loved him dearly. I will love you and miss you forever Uncle Gary. My best memory with you was when I was 2 years old and we visited, Aunt Moray might remember this too, "Be careful of the cleefs Uncle Harry ??" I am not sure where I came up with Uncle Harry but I was only 2 years old. I love you Aunt Moray Murray, and the rest of the family too!